(1974, Hungary) started as a drummer at age of 13. After several years of playing with various bands my music orientation has turned into new directions. I started composing experimental music by discovering fields of electro-acoustic, abstract, minimal sound art in 2001. Since 2004 in my main focus are moving micro structures of recorded, edited or processed sound material. 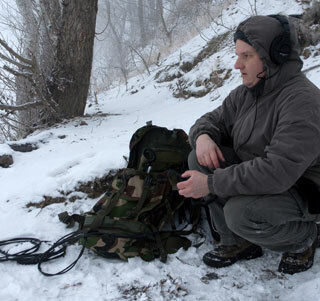 In 2009, I have established 3LEAVES a record label devoted to release field recordings from all over the world and to present them based on individual concepts for listeners.